Apparently tired of battling her way through one apocalyptic scenario after another, Milla Jovovich has decided to show some range by moving into the post-apocalyptic landscape of co-writer/co-director/co-star James Franco’s Future World. 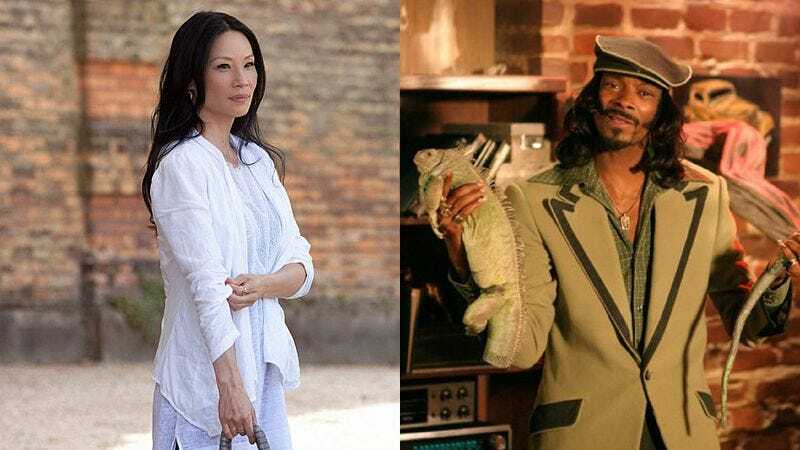 She’s going to have some help, too, as Variety reports that Lucy Liu and Snoop Dogg have joined the cast, which also includes Method Man, Margarita Levieva (The Blacklist), Jeffrey Wahlberg (nephew to Marky Mark), and Suki Waterhouse (Insurgent). The screenplay, by frequent Franco collaborators Bruce Cheung and Jay Davis based on Franco’s idea, involves a young boy who has to leave his safe haven and venture into the “violent and desolate world of the Wastelands” with his robot friend to find a cure for his mom’s fatal illness. No clues yet as to which actor is in which role, but it’s entirely possible these casting notices are a smokescreen, and Franco’s playing the young boy, the robot, the dying mom, the wasteland, and Lucy Liu. He’s a man of many talents. Further details of the plot are still under wraps, but the post-apocalyptic world has been described as, “plagued with heat, ravaged by disease, and crippled by a chronic war.” A chronic war? That explains Snoop’s involvement, at least.